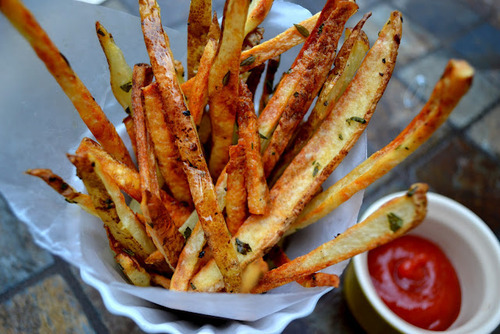 What’s your favorite cut of French Fry? I like ’em all though I’m not crazy about Waffle Fries. 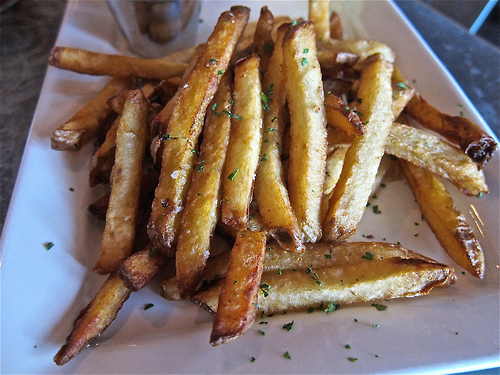 Here’s where you can get some good fries in America. oh man, I love fries. the 2nd photo looks like the ticket. never been to any of the places on the list. i also like a few different styles - the thin ones you often get with steak frites, and then the kinds in the pictures, medium size, clearly fresh cut, a little crisp but very soft inside. not a big fan of either waffle fries or crinkle cut. I'm partial to Belgian fries, of course. And the thing is, they're so good for you!